Under pressure from an increasing number of states and municipalities that have proposed or passed bans on cashless merchants, Amazon Go stores reportedly will begin to accept cash. A report by CNBC said the decision to accept cash responds to claims by consumer advocates that cashless commerce discriminates against un- and underbanked consumers. A 2017 FDIC study found that 6.5 percent of U.S. households are unbanked. As previously reported, New Jersey Gov. Phil Murphy recently signed legislation requiring retailers and restaurants to accept cash. Cashless bans have also been signed into law in New York City, Philadelphia and Washington, D.C., and the city of San Francisco is now considering a proposed ban. The CNBC report said that Amazon’s Steve Kessel, who oversees physical store operations, announced in an “all-hands” company meeting that Amazon Go stores will add “incorporate payment mechanisms.” CNBC said that it had confirmed the cash payment decision with an Amazon spokesperson. It is not yet clear how a cash option will work in the stores, which do not have cashiers. As designed, the stores use cameras to log product selections as the customer takes items from the shelves. The total for purchases is automatically deducted from a linked payment account as the customer exits the store. 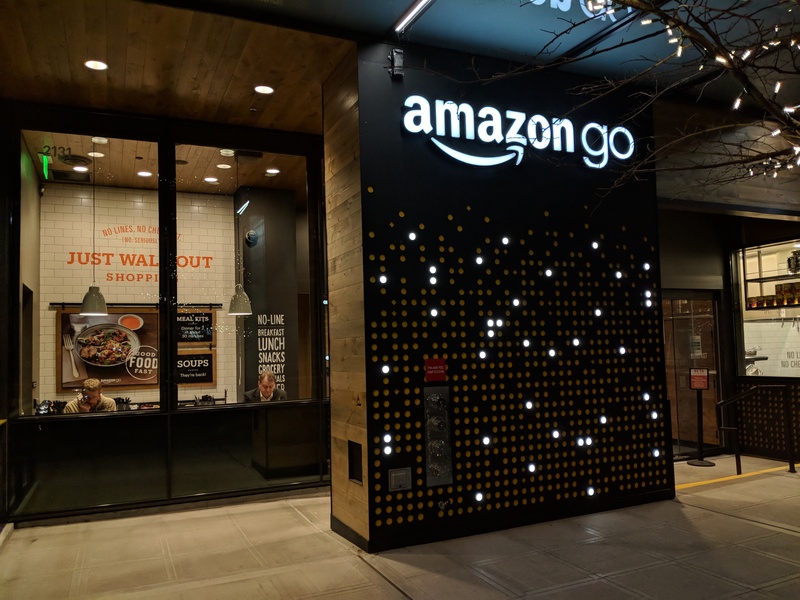 Amazon operates 10 Amazon Go stores and plans to open several thousand more within the next few years, according to a Bloomberg report.